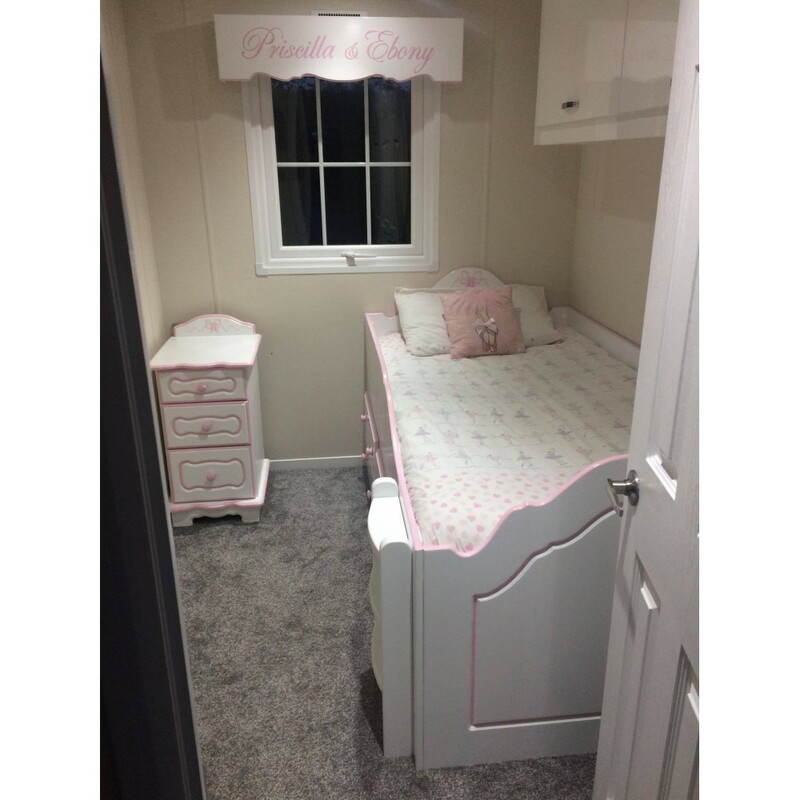 This bed has been made to measure to fit into a little girls chalet bedroom. Bed has 2 storage drawers under and a raised ladder for little legs. Choose your own colours. Artwork not included. Price excludes mattress.